Rant About GR Bandwagon Indie Review Culture - Terminated. Zen Mode Activated. 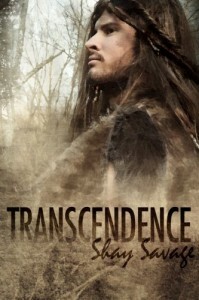 Transcendence was an interesting read. Here we have yet another middling P2P fanfic that's gaining attention. There are better caveman/primitive man books out there. This isn't the first book of this theme (the reason I picked this book had to do with my recent reading and searching for books with caveman, primitive man, and/or Tarzan retellings). I was almost wanting to say a whole hell of a lot more about bandwagoning/GR indie review culture and why the review page for this book had me raising an eyebrow, but we'd probably be veering off into passive-aggressive territory, where my "snark for fun" could end up hurting someone's feelings without me meaning to. So I'll back away and say this - I do get why people who haven't read this type of story before might be curious and find it interesting. Because the story was interesting - before it got to be repetitive. Edh REALLY wanted to put a baby in Beh. Multiple times. That's pretty much the gist of the story (although I did really like the family bonding and few snippets of caveman life and survival) Unique though? Not as much as I'd hoped. Edh's voice was something I'd seen others complain about, but I actually appreciated that the author didn't go with a rotating PoV because so many books are doing that at the moment. Sure, it made for some confusion at times when I had to figure out what Edh was getting at, but in a way, that also added to the fun. There were times when Edh was in his head where I saw a few "contemporary romance" terms, but I forgave that much, considering that the author was probably trying to make for easier readability, when Edh was always working without words for most of his interaction with Beh. The book wasn't all bad. Honest. But to get so much fanfare? I'm just not seeing the epic. If I absolutely had to rate the book, I'd go about 2.5 stars for quality, and about 3.5 stars for enjoyment, so a 3 it is.